Your path to making a more informed decision about your vehicle starts by visiting a trusted dealer, an iService dealer. Your technician will take your vehicle and perform what is called an MPI (multi point inspection). During the MPI they will discover what issues your vehicle is experiencing. A video will then be recorded going over the failed areas. Shortly after you will receive a text message. Just click the link and you will access iService. 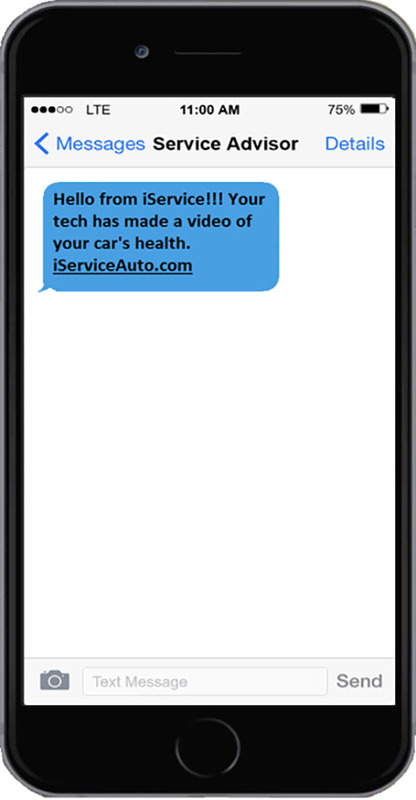 When you are in the iService view for your vehicles inspection all of the iService communication tools your dealership has enabled will be instantly available for your use. One of our most important communication features is the video evidence. 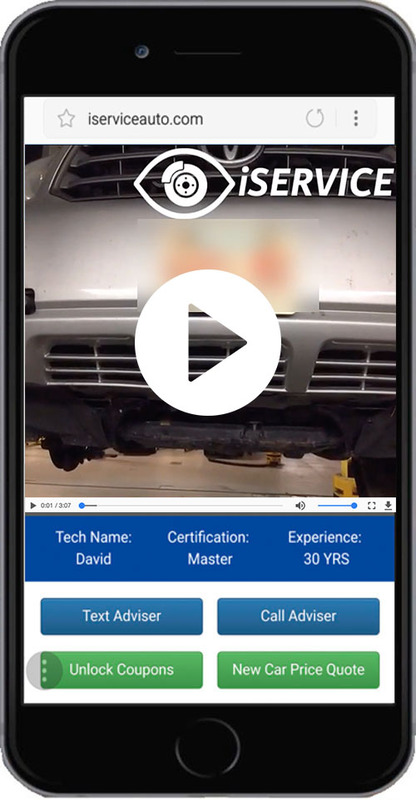 Just click the play button and a video will start allowing you to see your vehicle through the eyes of your technician.